Divorce more collaboratively, fairly and affordably in timeframes that have never been possible before. As seen on Channel Nine. Find a way forward in the next 10 minutes with Lumi, the world’s first AI separation guide. It’s completely free. Lumi is a bot with expertise in law, mediation and counselling. After having a confidential conversation with you, Lumi will create a step-by-step plan to help you move forward with your life. Finalise everything in weeks with the help of an impartial mediator, collaborative lawyers and award-winning technology. Your agreement is legally binding and court-sanctioned. The process happens remotely from wherever you’re most comfortable. 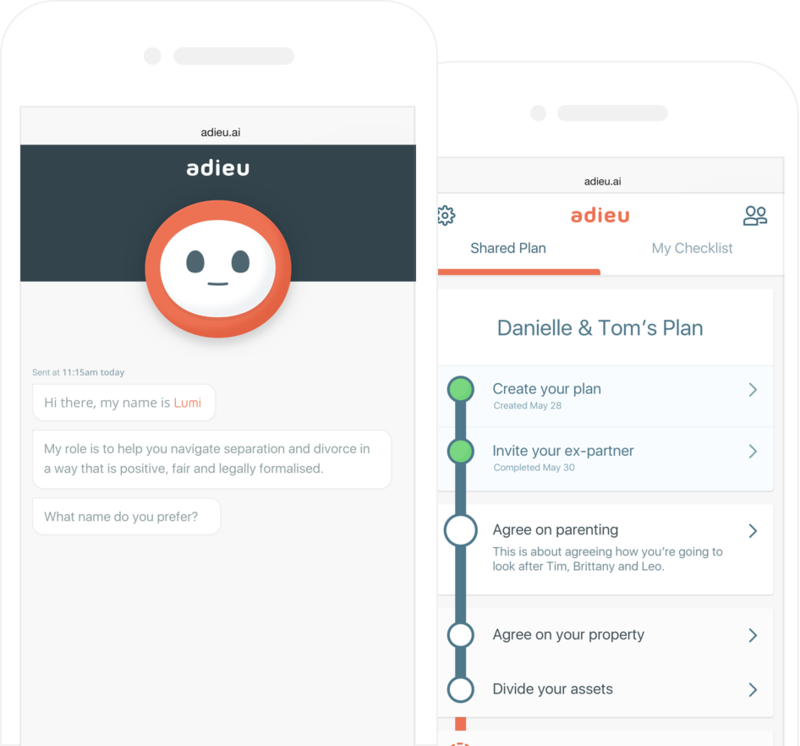 We founded Adieu on a single core idea: to illuminate a way forward. To reveal collaborative, positive and legally-sound ways forward when relationships breakdown, so you can get on with your life sooner.